VA Wine Chat with Williamsburg Winery’s Matthew Meyer on March 20 — Join us! Since starting Virginia Wine Chat early last year, we’ve hosted 16 virtual conversations with Virginia vintners. 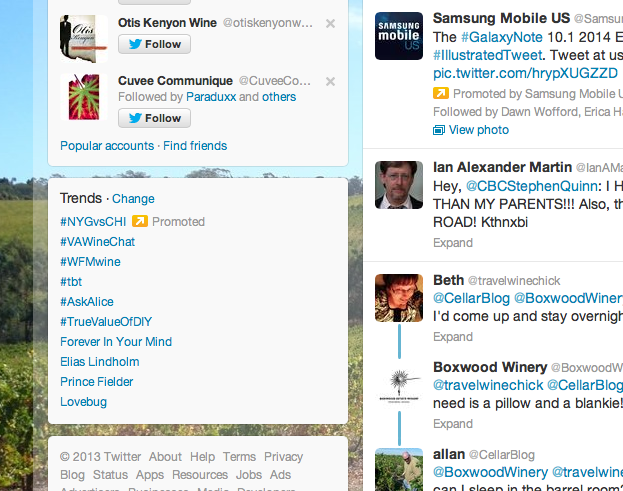 Known as #VAWineChat on Twitter, Virginia Wine Chat has grown considerably since our first ‘chat about Viognier in April 2013. 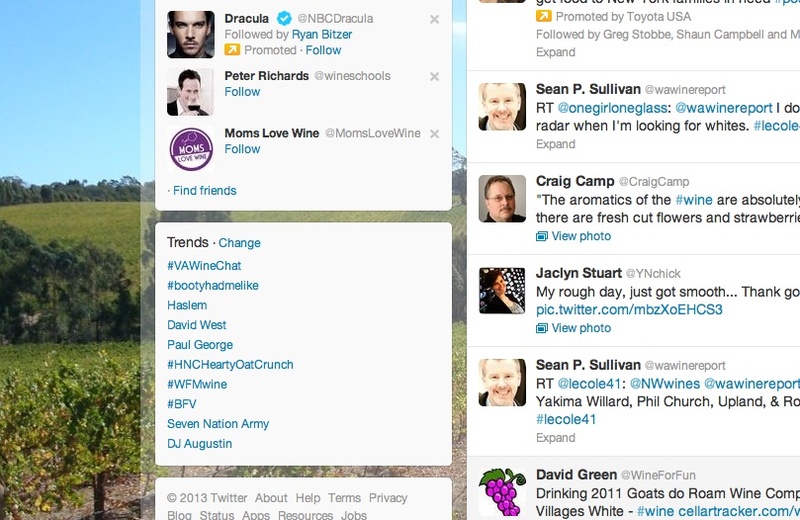 In some months, the #VAWineChat hashtag has trended #1 or #2 on Twitter (meaning it was the most talked about subject on Twitter at a given time). For those not familiar, Virginia Wine Chat is a monthly (or more frequent) virtual gathering of Virginia winemakers, industry folks, bloggers and consumers. The purpose of the ‘chats is to discuss the wines, wineries and winemakers of Virginia and raise awareness of the wines of the Commonwealth. In December, we updated the format from Twitter-only to include a monthly live interview with a notable Virginia winemaker or personality that is broadcasted online live via UStream. 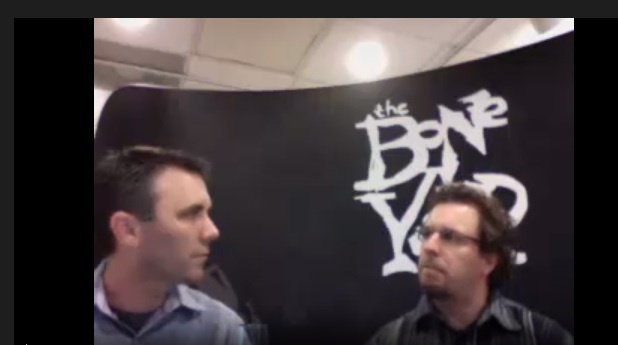 December’s first video (via UStream) Virginia Wine Chat guest was Jonathan Wheeler, sparkling winemaker at Trump Winery, followed by Keswick Vineyards winemaker Stephen Barnard in January, and last month Jordan Harris at Boneyard Wines hosted us. Over 280 people tuned in to watch. The next Virginia Wine Chat will take place on Thursday, March 20 at 7:30pm — Matthew Meyer, winemaker at Williamsburg Winery, will be my guest. During the hour-long ‘chat, we’ll discuss Matthew’s background and winemaking philosophy, the deep history at Williamsburg Winery, and the importance of winning the 2014 Governor’s Cup. We’ll also taste and discuss four Williamsburg wines during the ‘chat. All Virginia wine enthusiasts are invited to join us online on Thursday, March 20 at 7:30pm ET for a fun and educational hour with Matthew Meyer. To watch the interview with Matthew live, visit the Virginia Wine Chat UStream site ( http://www.ustream.tv/channel/virginia-wine-chat ) at 7:30pm on Thursday, March 20. You can also ask Matthew questions during the interview at the UStream link. To watch the interview and taste the same wines we will taste and discuss during the interview, you can order the Williamsburg Winery Virginia Wine Chat 3-pack directly from the winery at discounted price for this event: http://store.nexternal.com/wmbgstore/va-wine-chat-3-pack-p404.aspx . Check out the entire Virginia Wine Chat schedule here. Thank you, Jay. Appreciate you joining in the the Virginia Wine Chat. Please join us on April 24th – Luca Paschina of Barboursville Vineyards will be our guest. Cheers!